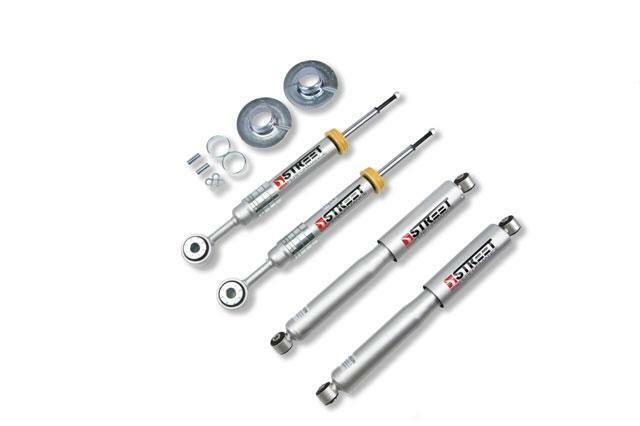 When you think about lowering your Sport Truck or SUV, historically the most overlooked component is the shock absorbers, with many Sport Truck or SUV owners simply leaving the factory units installed as a ?good enough? after thought. Belltech?s parent company KW automotive is a world leader in shock absorber technology and is relied upon for their expertise in suspension tuning by some of the world?s most demanding OEM and Aftermarket companies such as the ACR Viper team at Chrysler, Mercedes AMG, Novitec Ferrari, and Hennessey Motorsports. Our engineers focused their attention on tuning the low speed compression characteristics of this shock absorber, which is responsible for controlling your Sport Truck or SUV?s pitch and roll, dive and squat to help keep you confident and in control. The ?Progressive? rebound tuning will complement large aftermarket wheels, keeping the ride smooth but firm and in control.